IPEC company manufactured and shipped Continuous Thermal Decomposition Plant (TDP-2-800) dedicated to process used tiers and waste rubber. 1. Mechanical pretreatment of waste involves tire shredding, fabric and metal cord removal, two-stage magnetic separation, rubber crumb (not more, than 10×10 mm in size). 2. Continuous Thermal Decomposition Plant (TDP-2-800), where waste material processed into pyrolysis gas, high-quality carbon black and significant amount of fuel oil. 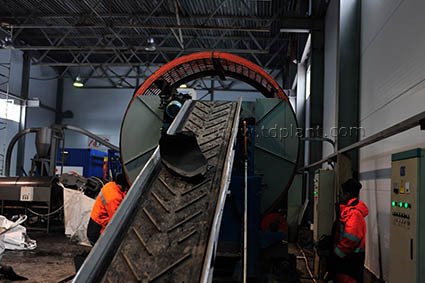 The capacity of the facility is 20 tons per day. 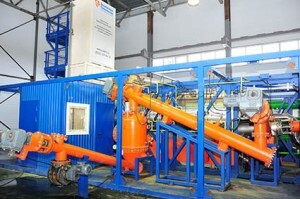 During the plant operation, the excess gas goes for energy recovery, followed by hot water production. 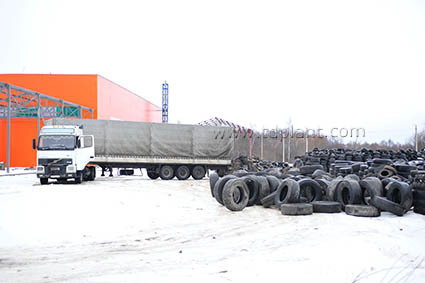 Carbon black, obtained during waste treatment process, can be used in the production of construction mixtures, industrial rubber goods and for the subsequent activation to produce absorbents. Continuous Thermal Decomposition Plant TDP-2-800 is eco-friendly solution which has some emissions advantages, since the plant is performed in environment with no oxygen access.